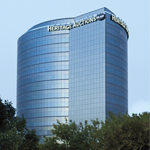 Heritage Auctions' Corporate Art Services department, along with experts in 40 collecting categories, is dedicated to providing a variety of services tailored to the growth and benefit of your collection. Preliminary consultations for any of these services can be arranged at no cost. Heritage provides various types of appraisals that can assist in the protection and growth of your collection. All appraisal reports are in compliance with IRS, legal, and USPAP standards. If you are looking to add to or refine your collection, Heritage experts will help you with every step of the process. Our specialists can speak with your organization, set goals and guidelines for you collection, and notify you of pieces and opportunities in Heritage auctions and private sales to meet those goals. The Heritage Auctions showrooms in Dallas, Beverly Hills, and New York are perfect for member appreciation events, networking events, or any other special event you may host. Our staff can coordinate with your organization to plan for any event you may require. We can also provide an expert from one of our 40 collecting categories as a speaker for any special events or provide licensed auctioneers for private charity benefits or client appreciation events.